Vijay Sethupathi and Madhavan's Vikram Vedha has grossed around Rs 25 crore at Tamil Nadu box office. Vijay Sethupathi and Madhavan's Vikram Vedha has come out with flying colours at the Tamil Nadu box office. In fact, it is now considered to be the biggest hit in the state after SS Rajamouli's magnum opus Baahubali 2. By the end of its second weekend, the collections of Pushkar-Gayathri's Vikram Vedha continued to remain strong. Going by the trade reports, it grossed around Rs 25 crore at the worldwide box office with the Tamil Nadu market contributing a larger pie of Rs 15 crore for its success. It has now become the first commercial hit in Kollywood post the implementation of GST (Goods and Service Tax). The movie's success has put an end to the argument that "rise in the ticket prices will lead to lower footfall" after the new taxation came into effect. Prior to the implementation of GST, the Tamil Nadu government had 30 percent entertainment tax in place and movies with 'U' certificate got a tax rebate. In such a scenario, Vikram Vedha, which has got 'U/A' from the censor board, would have lost 30 percent of its revenue in the form of tax. Now, the tickets costing Rs 100 are being taxed at 18 percent and above the said amount will come under the bracket of 28 percent. Hence, the makers have benefited from the GST implementation. With no big releases this week, Vikram Vedha is expected to have a good run for another 7 days. The trade experts are predicting that the makers will make a lifetime share of Rs 30 crore. 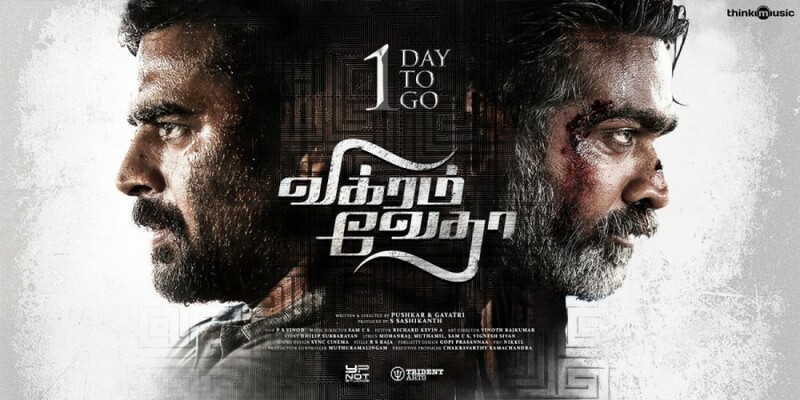 The success of Vikram Vedha has proved again that the audience will encourage films with good content even at the cost of marginal hike in ticket rates.